Shares of Canadian handset manufacturer RIM are down nearly 9% after hours on Thursday after the company reported its third quarter earnings. While a 48% decline in revenue to $2.7 billion from last year's $5.2 billion is enough of a reason for the stock to decline, the major piece of bad news was that 1 million BlackBerry users left the platform during the quarter. That is the first time that BlackBerry lost subscribers over a quarter. While the stock recently had showed some strength, after hours on Thursday, shares of RIM were down 8.99% to 12.85 after rising 3.6% during the day. Including a tax break, RIM made $9 million or 2 cents a share versus a profit of $265 million last year, or 51 cents a share. Removing the tax break and other non standard accounting results in RIM showing a $114 million loss for the three month period ended December 1st, which translates into a loss of 22 cents a share. Because analysts were looking for RIM to lose 35 cents a share, the report was considered to be stronger than expected. During the quarter, RIM shipped 6.9 million handsets and 255,000 BlackBerry PlayBook tablets. Company officials stressed that these devices were heavily discounted. RIM had been able to make up losing customers in the U.S. with gains in other countries like Africa and India where BlackBerry is still considered a major name in smartphones. But the loss of 1 million users is a big negative for RIM as BlackBerry users generate cash flow for RIM each month from carriers. Some analysts seemed to be concerned by a comment made by CEO Thorsten Heins that hinted at changes in the way RIM receives fees from carriers with BlackBerry 10. Currently, these fees make up 36% of the company's revenue. 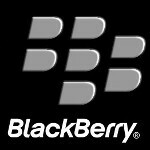 Heins has said that the new phones will not benefit from the web compression technology which is the main thing that RIM provides to BlackBerry users. BlackBerry fans will be happy to hear that instead of hoarding cash, CEO Heins said that the company will dig deep into its pockets to stockpile large inventories of the new BB10 handsets and will spend on advertising and marketing the new phones. RIM started the year with $2.1 billion in cash and Heins said that the company will have a higher cash balance at the end of the year. They need to get BB10 released already. Can only stoke a fire so long until it dies out. R.I.P. COME ON RIM!!!!! Kick it into gear and just release some new sh*t already please!!! if Windows, Apple, Android, and Blackberry all bring their A game, then we can true have choices and see whos truly best! Is that REALLY a surprise? No, no it's not. Somehow, I suspect the RIM fire is in the die-out phase already. Claiming to have more cash on hand at the end of the year after spending on advertising, inventory of handsets, etc. is the claim of the deluded. RIM are not Apple or Sammy. They will be lucky to have stopped the erosion in their subscriber base. 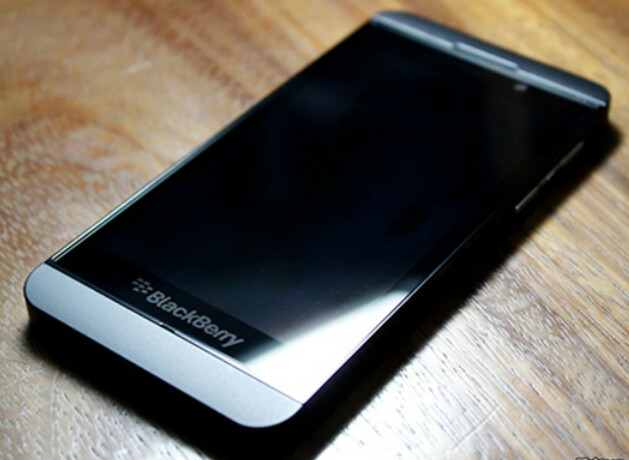 the way they're goin I am not sure the company is gonna last till Jan 30th...official BB10 release date! i believe and think, assume Nokia and WP8 might be joining them? A camera can't be the only selling point, but the market for windows phone and Nokia is there. Just not growing rapidly like iPhone and android. First chage the BB plans i dont know how they charge in other contries, i am from inida the rates are not reasonable for mid range people they r charging full axcess plan for 400 INR but if get android phones the internet plan starts from 101 INR and most of the people migrating to android phones ,so rim has to seriously think abou the BB plan to resonable rates then your device will be the best one..
Who wants to be associated with the phone used by the Kenyan dictator. RIM is definitely RIP this time. RIM sales in the U.S.A, Australia, UK, Singapore already almost none. RIM sales in Korea, HK, China never good. the sales number that RIM brag about (africa, indonesia, poor country) is the cheap BB, this people were comparing BB with their feature phone. Look at their income. their sales number drop about 10%, but income drop almost 50%? BB10 WILL NOT be CHEAP. and targeting the lost market to android. RIM will have a hard time convincing the lost market to go back from android/iOS back to BB. and africa, philipine, indonesia, other poor country would only buy BB10 in very small number. BB is dead. RIM should just move to android. Wasn't BB the handset of choice for aspiring terrorists? BBM was so secure that internal security in India, Saudi Arabia, Qatar and a bunch of other countries were going to ban BB sales unless RIM made it less secure. Didn't the Mumbai terrorists use BBM to communicate with their base back in Pakistan?